For the first time I was suspected of drug trafficking. Alone, in the country where there is no Ukrainian Embassy, I was standing and feverishly figuring out if someone could plant something on me on the way to the airport. It seems, that being extremely worried that moment I lost a few kilos. Hardly speaking any English customs officer in my presence took off the cellophane packaging from my suitcase and gently probed my belongings. However, even before reaching the bottom, he said that everything was fine and I could go boarding. The situation repeated when I was flying from Ecuador for the second time. And then I realized that they checked almost every foreigner just because there is a problem of drug trafficking on the continent and citizens of other countries often transport prohibited substances. When taking a lonely walk, one can feel the spirit of another city, to experience its sounds, smells and taste, to get lost a bit and ask the locals where, let’s say, a library is, and to drop into the nearest small cafe. Alien speech, unfamiliar intonations, discoveries are hidden behind every corner. It seems that this whirlpool takes you to another reality. Ecuador is wonderful. Many times watching the sun going down on the equator, I slowly breathed in the air trying to understand why it was so jollifying. At some point I caught scent of fruit trees, then fragrance of roses and lavender. 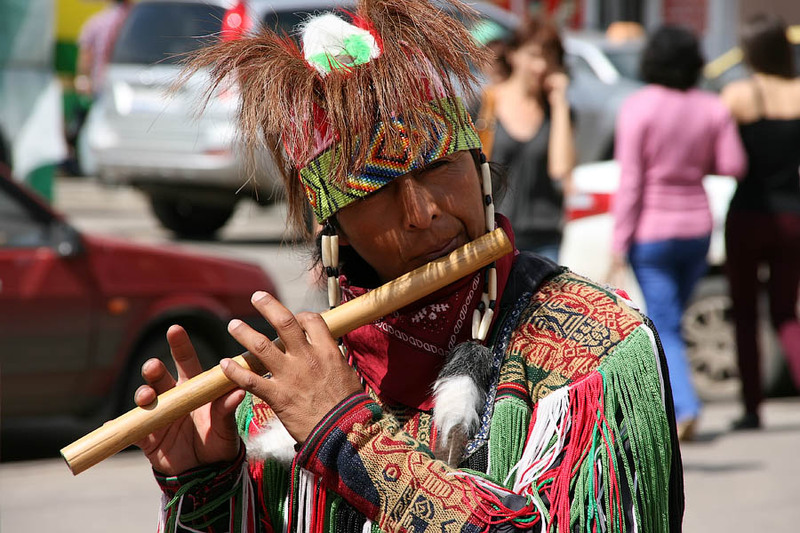 Sometimes it was smell of eucalyptus honey or strong coffee so adored by Ecuadorians in the evenings. However, there was one odour felt everywhere: it was fresh, morning-like and persistent smell of pure life. It was water. Either pure and cold, with snow taste descending from the Andes, or hot, rich in minerals gushing out of the ground. Hundreds of rivers and streams scattered throughout the country fall into the global ocean, irrigating the evergreen forests of Ecuador. Trout, marlin, tuna, bass, catfish, piranhas. Some Indians still go fishing to mountain lakes using sharpened sticks. And the same as thousands years ago, the Incas descendants enjoy themselves near thermal springs. In ancient times worriers spent hours there healing their wounds received in battles with enemies. Nowadays in the country there are dozens of both natural and equipped places for water healing, and Ecuadorian families go there for weekend. Those spots are located in close proximity to active or dormant volcanoes. Doctors claim that the Andes water can cure joints, stomach and skin. 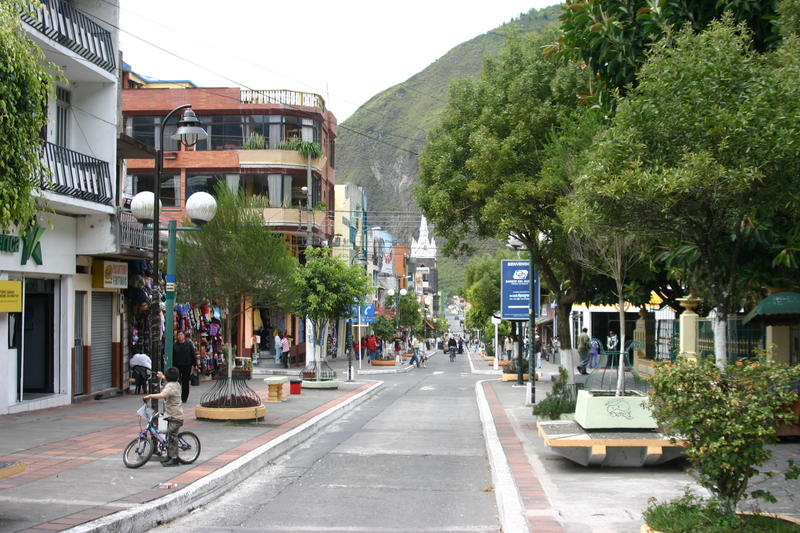 One of the famous resorts in Ecuador is Baños – small, cosy town in a few hours’ drive from the capital. 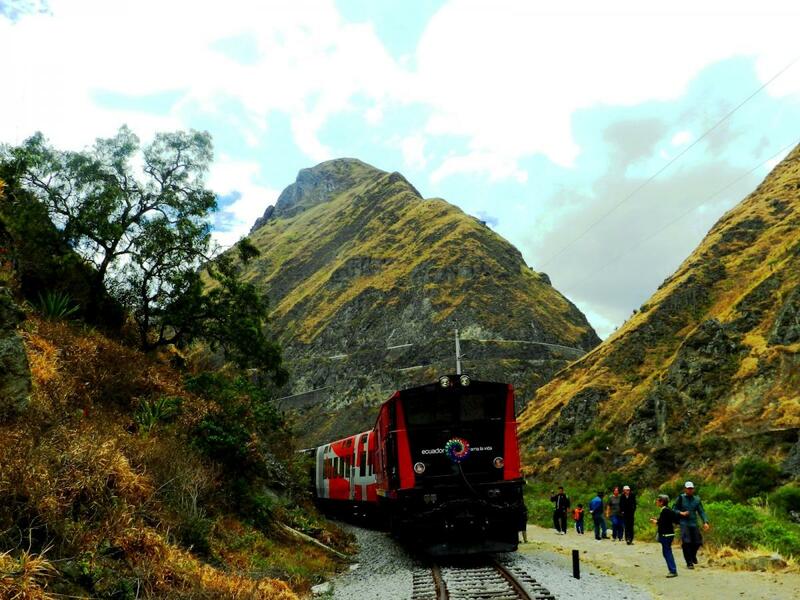 It occupies a narrow valley at an altitude of two thousand meters above sea level and is surrounded by mountains. Near the fire-breathing Tungurahua there are two brim-filled healing pools. But before mindlessly dabble in them, it is worthy to think of hidden reef accompanying this wellness relaxation that is a frequent fainting of bathers. It was in Baños that I fainted for the first time. The reason for such body reaction is temperature changes and, as a result, blood pressure problems of visitors. Next to the hot pools there are several showers with ice jets. After bathing in an almost boiling pond, stepping under a cold shower is a real strength test even for a healthy person. 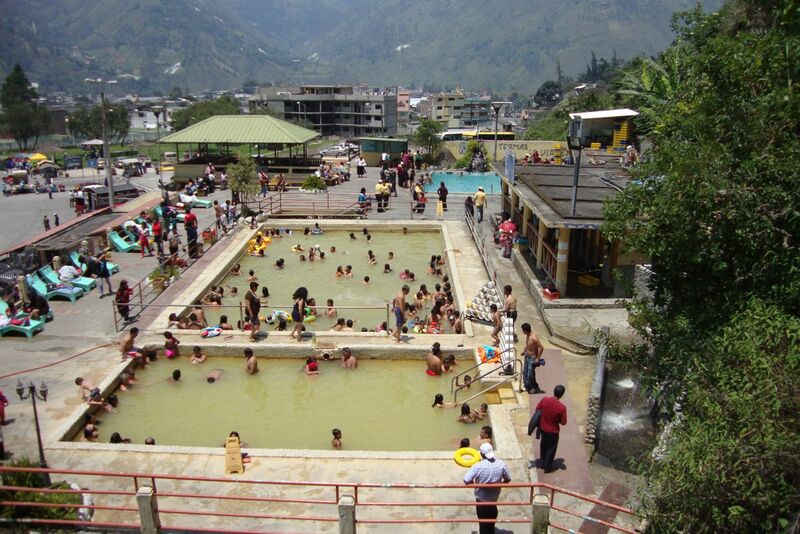 Though in general, Ecuadorian thermal spas are quite safe for cautious and reasonable tourists. However, I would recommend to focus not only on health improving, but also… to contemplate. 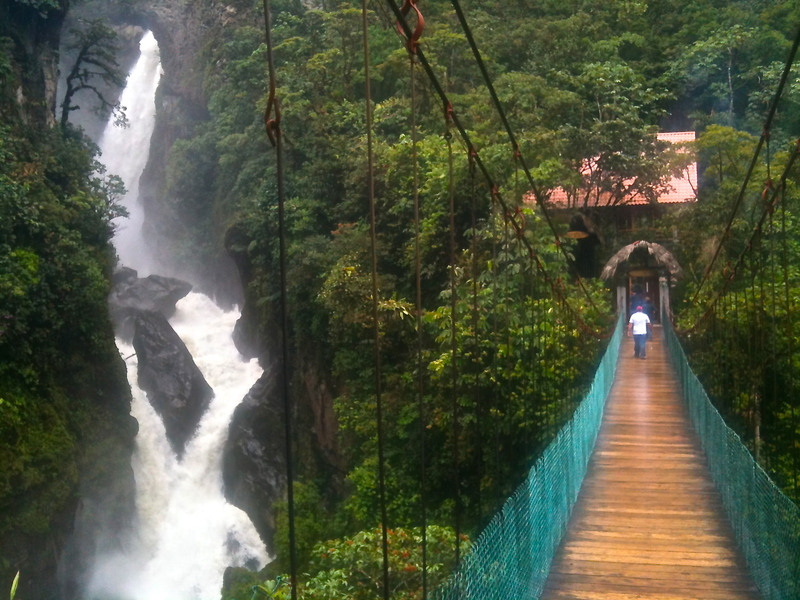 Baños is surrounded by fifty-seven waterfalls. Snaky mountain road is winding through the town and, following it I ventured into the jungle. Amazon basin is huge and beautiful. 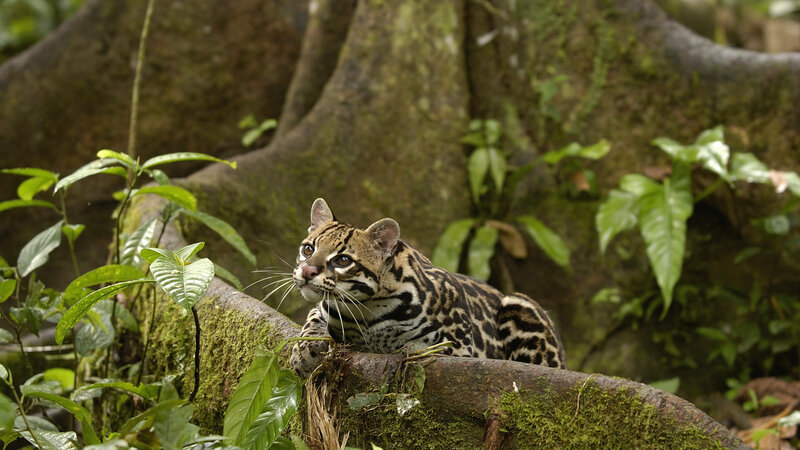 It is a habitat for spectacled bears, jaguars, tamarins, poisonous frogs and tapirs, black caimans and otters, electric eels and green anacondas. Ever and again noisy marmosets sweep in clouds above, and rainbow macaws shed down the branches. Near my feet run hurried capybaras - funny chubby animals with short legs. 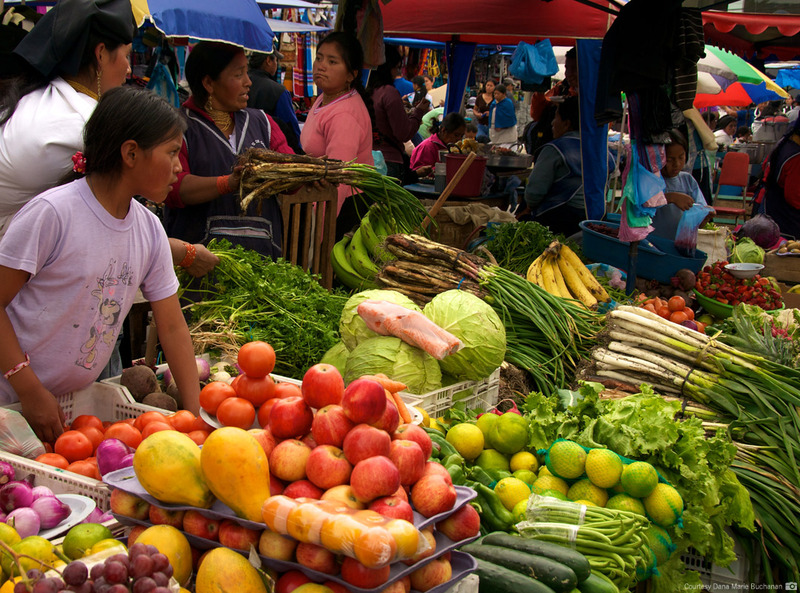 Jungle supplies tables of the Ecuadorians with plenty of fruit including exotic ones such as mami, the core of which tastes like meat, juicy pepinos resembling a cucumber, cherimoya with custard taste. Here fresh juices are preferred to tea and mineral water. Ecuadorian cuisine is simple and almost not salty. In the streets they traditionally sell fried potatoes, big chunks of pork and corn. Special dish for holidays is kui which is a familiar to us guinea pig, nice and gentle pet here, but baked with cheese there. Foodie adventurers have a chance to taste potato soup yaguarlokro served with blood and cooked bovine genital called caldo-de-mangera, or gourmet soup caldo-de-pata with roasted veal hooves. Ecuadorians are very hardworking people. They appreciate all the things the nature bestowed upon them. And even the industrialized world which a few hundred years ago burst onto the continent, could not eradicate from the Indians’ hearts a deep adoration to land. Literally every piece of ground had been ploughed and sown. Every day a good farmer goes to the field or garden to watch maize, wheat, potato, banana, to check if tomatoes are filled with juice, whether onions are green and avocados are growing well. Huge fields of strawberries are covered with plastic wrap so that harvest, which is collected thrice a year, could be picked up from the branches clean and undamaged. While sowing, an Indian is humming a simple sad tune. This is an improvisation: a mixture of prayer and ancient Indian melodies. A man is asking for a good harvest and complaining that he and his family would be lost without the generous gifts of nature. The most important things for Ecuadorians are their family, faith in God, honour and patriotism. They are modest and restrained, never impose themselves, they are always the first to greet strangers, easily give up when bargaining, they study hard, almost do not smoke or drink, love playing football and believe that every real affection should find its continuation by the altar. Ecuadorian men gladly give the reins to their wives. Women lead housekeeping, act as family treasurers, decide when and where children shall study, chose places for upcoming family holiday, and even decide whether matured offspring is allowed to go out on date. The local people are not choosy when it comes to clothes. They do not hesitate to put on a mended jacket or well-worn trousers. However, every self-respecting Indian would never appear in public in dirty garments. External cleanliness is a sign of pure thoughts. In Ecuador old age is much honoured. Law establishes the right of everyone who turned 65 not to stand in queue but to go to its beginning. Everyone is obliged to give way to elderly people. For them there is also free medical care (though only in public clinics), discounts on utilities, public transport and even free burial. Ecuadorians used to jump into the going bus. With heavy packs and pregnant, old and young, everybody is ready in seconds to leap off at stop. The matter is precise and tight schedule of urban and suburban transport. Petrol, and hence transport expenses are peanuts. Just at cost of 7-10 dollars one can get from capital to almost any corner of the country. I also hit the road with my friends. When we reached the small town of Otavalo, we came round into a cosy cafe. Hostess of the places was a Polish lady who has been dwelling in Ecuador for a long time. After questioning me a little about life in Europe, she offered us coca leaves tea. Exhilarating, completely non-traditional, it perfectly warms in a cold evening. In addition, my slumber was shaken off by legends. My local friend enthusiastically told me that the Incas’ gold is hidden somewhere in the surrounding mountains, and still no one knows how many treasures were saved by the chief Rominaui from greedy conquistadors. Maybe one day the hoard will fill treasury of people who for thousands years observe three main commandments (even prescribed in the Constitution of Ecuador): never lie, never steal and never be lazy.